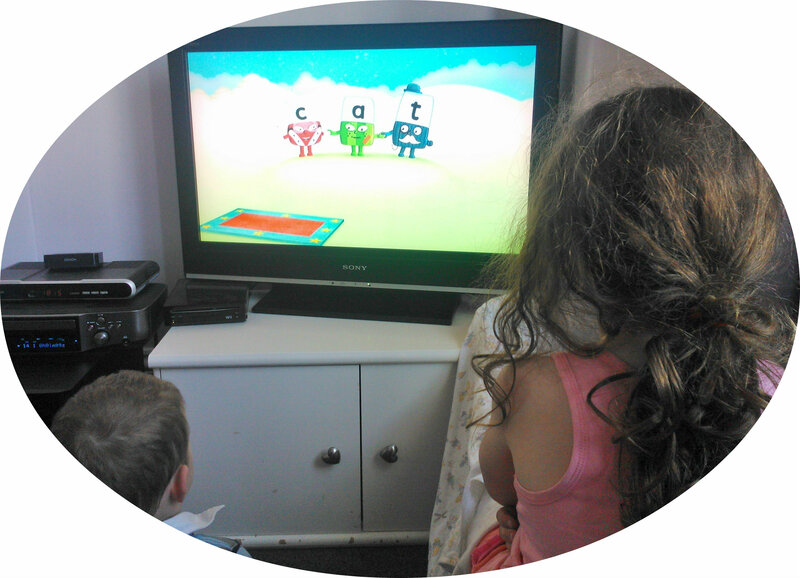 Knowing how much my two enjoy watching Alphablocks on CBeebies I was delighted to be sent the new Alphablocks Phonics Next Steps Volume 2 DVD from Abbey Home Media to review. The DVD contains 86 minutes of entertainment ideal for preschoolers – both my 2 and 5 year old will happily sit down watching this. The Alphablocks are 26 living letters who fall out of the sky and discover that if they hold hands and make a word, it comes to life. When words are magic and anything is possible, it’s an adventure, songs and games all the way! My children love watching Alphablocks and it always keeps them entertained. The episodes are full of brightly coloured images that are fun to watch. With 5 yr old Miss M in her first year at school she already know her phonics but uses this as a way to practice them and says the phonic sounds as she sees them come up on the screen. She also loves saying as many words as she can think of that start with the letter on each Alphablock as they appear. 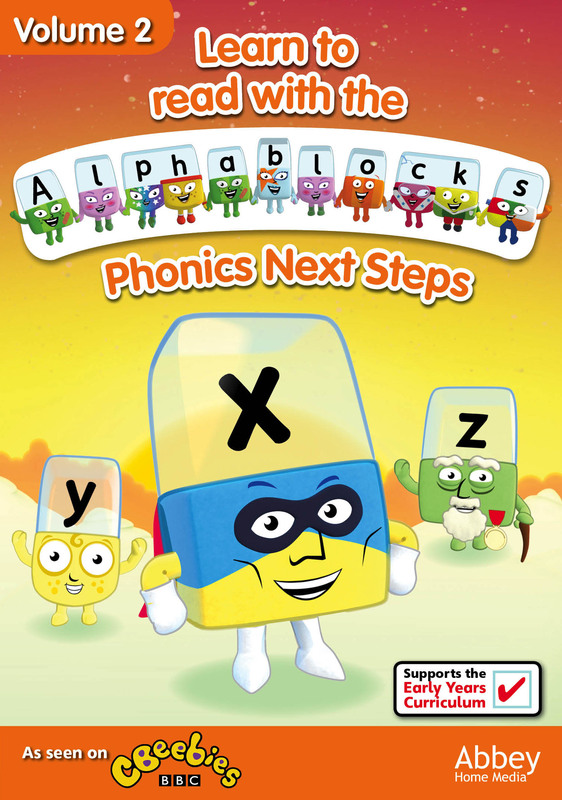 What I like about the Alphablocks Phonics Next Steps Volume 2 DVD is that it introduces some of the harder sounds to really help children recognise all of the phonetic alphabet along with simple word formation. Two year old Mister B loved imitating the sounds made by the Alphablocks and was encouraged by his big sister to really take in what he was seeing – a fun way of learning without realising it for younger ones. We really enjoyed watching Alphablocks Vol 2 DVD and would definitely recommend it!! The DVD is out now available from all good stockists. This entry was posted in Reviews and tagged Alphablocks, CBeebies, DVD, early years curriculum, Next Steps, phonics, preschool, Volume 2 by Fiona Martin. Bookmark the permalink.